Ever since 1946, Stevenage’s shopping facilities have been above the standard which might be expected for its size. This is mainly due to the fact that Stevenage’s shopping centre caters for the surrounding villages, as well as the inhabitants of Stevenage. In 1959 a new shopping centre was built with around 100 shops. This centre provided car parking and many bus routes leading to it from the nearby area. It also provided a wide variety of shops to the customer, varying from supermarkets to small retail establishments and banks to outdoor markets. By 1968 there were around 130 shops available to the public. Also flats and office accommodation was now on offer above them.The town centre also held events such as country dancing and art exhibitions for the shops’ customers. The town centre and its shops soon became the focal point of Stevenage. 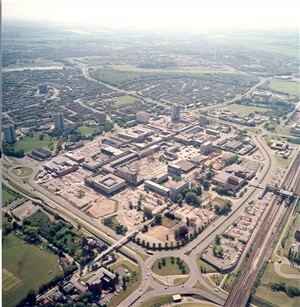 Around 1975, Stevenage started to concentrate more on the entertainment and leisure industry. So, the shopping industry did not progress. However, as there were more entertainment facilities, more people ventured into Stevenage and visited the shops within the town centre. Shop owners could now refurbish their shops, because of the profits they were making, from the increase of customers. In 2009, when the recession hit, many shops became bankrupt and were taken over by other smaller retailers (Woolworths was one of the larger companies to suffer from finacial problems). We can learn from this that Stevenage’s shops are constantly changing and have been ever since 1946. Whether it by the number of shops increasing, or just by the owner changing. Stevenage’s shopping facilities have been used for many years, and it is very likely that they will be used for many years to come, if they change or not. This page was added on 10/02/2011. I do ! It was a NATIONAL garage. I was raised in Southwark Close (St Nic’s) and I remember biking it down to the National garage to get smurf figures. It was the furthest I’d ever been with my mates. I also remember going to the Esso garage with my dad to get either world cup coins or miniature plastic busts of famous composers! 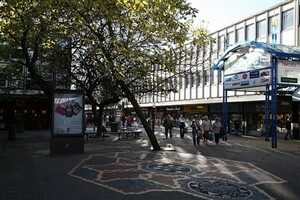 Anyone think town centre should be pulled down and rebuilt? Can anyone tell me the date when Marks & Spencer opened in the town centre please? They may come and go, but 54 High Street (now Boots) has been a chemist since the 1840s – by far Stevenage’s longest-surviving shop in the same use!